It’s taken almost six months to be able to finally admit it, but like so many others, I was suckered into buying Diablo 3. 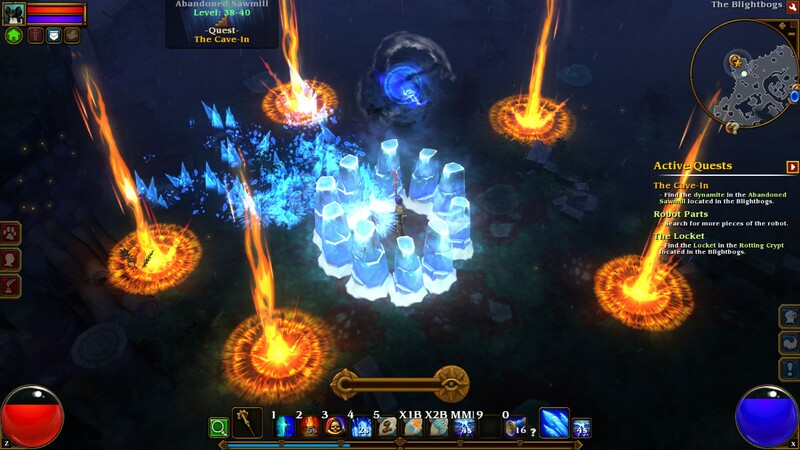 While I won’t dwell too much on that failed game or it’s wasted potential, I bring up my D3 experience because my review of Torchlight 2 has been colored by how D3 changed my perceptions on the Action RPG game. Many comparisons will be made to D3 because frankly, there aren’t many other games in this genre I’ve played, or even familiar with. No, I didn’t play Path to Exile for more than an hour. I’m not paying $10 to play in a beta. I already did that in May. Torchlight 2 appears at first glance to be a huge step up from the original, though it’s sometimes hard to tell because I played TL1 on XBLA, and TL2 on the PC. You would never know until you’ve experienced it, but little things like roaming the surface of a randomly generated world feels much more free than roaming a randomly generated ‘dungeon,’ when really they are the same thing. Also, having the layout of your town change in each act added ever so slightly to the feeling of progression, that you were actually going somewhere. Aside from those things, I don’t have much to say on the upgrade that’s too specific. I played whatever class likes shooting a gun in TL1, and I haven’t played an Outlander yet in TL2, so I can’t comment much on how the classes have changed, but I can talk about them in general. There are four classes in TL2, and I’ll tell as much as I know on each while sharing my experiences of playing. It’s like being the Guyver with a giant hammer! The Engineer, my first choice, is a class that uses either a two hander, sword and board, or a giant cannon based on how you build him. I liked the level of versatility I had in builds, but I found it annoying that the differing builds seemed to desire different stats(you have Str, Dex, Focus, and Vit, and you level them up in Diablo 2 fashion). I could ruin dudes with flaming craters from my huge hammer, OR summon robots, throw grenades, and mow down mobs with a cannon blast, OR I could have tons of survivability and moderate AOE damage by using a shield. The most interesting aspect of the class was this thing called the charge bar. All the classes get it, but each works differently. The Engineers worked a little like combo points did for a Rogue in Wow. Some abilities benefited from expending charge, sometimes all of it, sometimes just one charge. I really liked the charge system overall for the Engineer. I felt like I had lots of options in a fight. The big issue I had with the Engineer, who I named Mustidia(props for getting the near reference), was that all the cool stuff I mentioned before about hammers and cannons and shields couldn’t all be used in the same spec. I didn’t get even close to the maximum level of 100 with the Engineer, so maybe this problem sorta just goes away with enough stat and skill points, but it still feel like you aren’t min/maxing if you just take all the fun stuff. Then again, maybe that’s what the different difficulty levels are for. Most of the time on Normal difficulty, I mow stuff down no matter what I do, and are only truly challenged by bosses or certain types of monsters. If I want to min/max, maybe Elite is the way to go. I’m still working out whether that’s how it was designed, or if it just ended up that way. The reason I didn’t get to 100 with the Engineer was because I started poking around using the console command. After reading some forum posts about how to respec your character without having to buy/find this fairly expensive potion that I wouldn’t have access to for a long time, I fired up the console and used the RESETSKILLS command. Voila! Suddenly I could try out various abilities I was hesitant to put a single point into just to see what it really did. It was fun for a while trying out new ways to crush baddies. My personal favorite was the spec where all I did was lob stun grenades and whack stunned monsters, triggering all these things that proc only on stunned creatures. But then I wanted to try out the cannon abilities, which demanded a different set of stats to be as cool as using a two hander. Looking at a list of console commands on some website, I came across RESETSTATS, which read something like ‘resets the characters stats,’ in the description afterward. Well, all the stuff I want to reset are called stats, so this must be it! I typed RESETSTATS and went to refill my 40 levels of points, only to find I didn’t have any points available to spend. A moment later, I also noticed I had no skill points to spend. I was a level 40 Engineer with level one statistics. I knew from the forums that using the console can flag your account for cheating, which is ridiculous anyway because they GIVE you the darned thing, and there is no ladder to compete on or RMAH to profit from. Certain commands like RESETSKILLS were not considered flagrant infractions because you weren’t adjusting your level, or giving yourself a million skill points. Given that I already screwed my character up pretty hard, I decided to just try to fix what I had done using more console commands. After some more reading I found I could just adjust my characters level to one using a command, then level it up to 40 using another. Clearly this was not good for my characters future in online games. There was an offline mode, and it’s the only place where you can use the console, but your characters roam freely between both modes. I sighed and went for it, spamming the LEVELUP command to get back to 40. I reentered my stats, thinking that they weren’t all in the same place they were before, as all the numbers looked off, but it was fine. I skilled back up, but found I was unable to get everything I did before. I mentioned it to whoever I was on Skype with, and they said that you also get skill points whenever you gain a fame level. I sank in my chair. I started to look for the command to reset fame, but stopped half way down the list. Screw this, I thought to myself. This isn’t worth it. My character is just going to get banned anyway. So I started over. Regretfully, I could not play with the friends I had convinced to buy the game with me now, but I was determined to catch up eventually. This time, I chose an Embermage, named RESETSTATS in case anyone asked why I started over. None of my friends had one as far as I knew, and I didn’t want to either play another melee class or play a class that looked suspiciously like a Demon Hunter from D3. Initially, I didn’t like the Embermage very much, but his charge was interesting. It filled up as I hit stuff just like the Engineer, but it didn’t have marks on it to show when I had earned a ‘combo point.’ Instead, once it filled all the way up, for the next 12 seconds, all spells cost zero mana and dealt 25% more damage. Holy crap! Eventually the free spell part became less useful, but a flat 25% gain in damage was just awesome, and it was relatively easy to control when you would ‘go off’ because many spells explicitly stated that they did not build charge. I think they did this so people wouldn’t just wail on one button all the time if they wanted to take advantage of a big class ability, but I’m fine using it to mop up a fight when my bar is almost full and I don’t need it. Anyway, I didn’t like the Embermage as much at first. I took a fair amount of damage, and had a Camel-Bak full of health potion juice running much of the time. I probably just wasn’t used to being so flimsy(apparently Engineers get a flat 25% DR after your normal armor), but also I missed the little robot the Engineer made that just spammed you with HoTs and mana over time (is MoT a thing?) effects. The first ‘build’ I discovered was using this spell that did a tiny amount of damage of each damage type, with a resaonable chance to inflict each damage types debuff. Embermages have Fire, Frost, and Lightning trees, though they aren’t really trees per se. You can jump around in them at your leisure, as skills are restricted by level, and each skill has a cap of 15 points. Either way, each ‘tree’ had a passive that dealt a big chunk of the appropriate elemental damage to a target when it was hit by the right element if they already had the right debuff on them. Fire from fire if they were burning, Frost from frost if they were frozen, etc. The spec was just maxing the spell that did all those little bits of damage and debuffs, and all three of the triggered elemental damage skills. Unsurprisingly, I mowed everything down with just a few casts. Did I mention the spell releases FIVE+ bolts? Did I mention they were like elemental smart missiles and would seek out enemies? It was as boring as it was effective. Once I achieved a high enough level that I could wear this awesome ring that my poor Engineer found before she ‘died’ that granted an extra 30% or so on fire damage, I swapped to all fire, all the time. Of course, wearing this insane ring that I only had because I put ten levels worth of stats in to Focus to use it early(items have a level OR stat requirement), I blew up everything just as easily as I did with the Seeking Missiles of Elemental Destrcution spec. This was supplemented by a staff I had no business having either, but once the staff became just good instead of the stone nuts, I started having trouble killing stuff without taking a fair amount of damage. I tried the other specs, but they all seemed to tail off in damage. Sure, potions drop like actual candy, so I could just constantly have one ticking, but that’s a horrible way to play the game, so I kept trying out different things. In the end, the right answer was to just take whatever you thought was the most awesome without regard to flavor, or much of anything really. The Embermage has three spells you can use at level one, one from each tree. They all start you down this road of elemental synergy. But there’s another kind of synergy the Embermage can make great use of. The synergy of AOE spells is surprisingly powerful. My current spec, and easily the most fun spec of either class I’ve found, is to expel fire, frost, and lightning on demand. I have enough points in focus, and do enough damage to fill the charge bar quickly enough that mana is not an issue. My gear isn’t even that good anymore by my level’s standards, but almost nothing can stand up to me. I don’t just kill everything with a single click. I have to lay it down in the right spots usually, and use the CC spell I took to hem enemies in. Sometimes, I have to use the blink spell with no cooldown(!!!!) that does damage both ways as well. If nothing else, just watching the mayhem is incredibly satisfying. I’ve just caught up to my dead Engineer at level 40, and the game is only getting more fun. The gear and abilities scale very well, keeping a good sense of forward progress. Somehow the game seems very fresh compared to Diablo. Maybe it’s because I’m not at level 100 endlessly grinding, but I don’t think this is that type of game despite it feeling very much like Diablo. I get the feeling that if I ever got bored, I would have far less of an issue leveling up a new class (Berserker obviously) because of how enjoyable the leveling up period is. The best part of the leveling up half of the game being so great is that you can go at your own pace. When I didn’t play D3 for a week, I felt like everyone else was getting farther ahead of me. Truthfully they were too. As I sat inactive, my gold AND items were depreciating in value as more of both entered the system, and it drove me mad to no end. Delving into the differing play styles of the classes is far more satisfying than it was in D3, and the hours spent leveling up four characters to 100 alone makes Torchlight 2 a solid buy at $20($15 if you buy the four pack for $60), and I would advise anyone with some spare time, spare friends, and spare change to try it out. So did u get banned for doing that with your engineer?? I am a new player and I think I have screwed up my skill points. Would you recommend me to use the console or not? 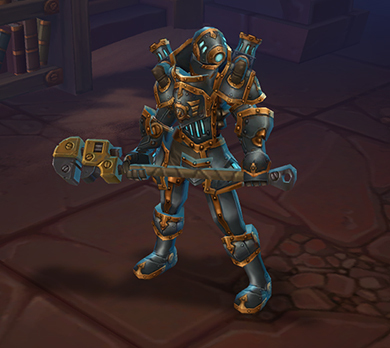 One more question the armor you have posted in your post looks very cool, how did u get it what is the name? Their policy regarding console use also may have changed since I wrote this article, so be sure to check out the TL2 forums before you do anything.